The time change can be an adjustment and the way you start your morning can affect the rest of your day. When you start the day out feeling stressed, you may feel a downward spiral of negative experiences and stressful responses throughout the remainder of your day. However, starting the day from a place of relaxation, you will be better able to deal with what comes as well as be able to enjoy the remainder of your day to its fullest extent. Here are several healthy lifestyle habits to incorporate into your morning routine that will allow you to better handle the stresses of the day. 12-step programs suggest turning your will over to Higher Power or God of your understanding through prayer that should be done at the start of your day and at any time during your day. Additional prayer and meditation only support your serenity and provides a calming time. Starting with 1-2 minutes each morning and progressing to more time as some will devote 5 to 30 minutes and even longer to start each morning. Studies have shown that music therapy reduces stress and creates a positive effect on health. Turning on your favorite tunes and listening as you get ready to start your day will help to create positive energy and provide you with a soothing sense of peace. Music is a great way to compliment other healthy morning habits, such as during a yoga workout, taking a hot shower or stimulating your mind while you write your daily journal entries. Starting the day with a cup of coffee and a donut can actually do more harm to your mood that you may think. There is a good reason why breakfast is known as the most important meal of the day. Eating a healthy, well-balanced meal in the morning can help to balance your blood sugar levels, which will give you the energy you need to deal with the physical, emotional and mental stresses of the day. Skipping breakfast or eating a sugary snack may cause your mind and body to be less resilient, so be sure to have plenty of fruit and protein-not just a cup of caffeine and empty calories. Although many people choose the evenings to write in their journal, which is a great way to clear your mind before bed; it is also extremely invigorating to write in your journal before starting your day as well. Allow yourself a little time each morning to write a positive quote or something positive that you want to accomplish during the day can lead to an increase in self-awareness and provide a range of stress management benefits. Focus on what you hope to achieve throughout the day ahead or simply write about what you are grateful for in the moment. Even if you typically take a shower in the morning, most people rush through it because they need to get their day going. Instead of rushing through the shower, take a few minutes to let the warm water loosen your muscles and think about the positives of the day ahead. Relaxing in a warm shower can drastically improve you emotional and physical well-being, as well as help to improve your digestive and immune system. The first step to getting into a healthy morning routine is to stop telling yourself that you aren’t a morning person. Keep in mind that your morning routine starts whenever your “morning” starts, which means even if you work a night shift, it is essential that you have a healthy routine before you leave for work, even if it’s after dark. 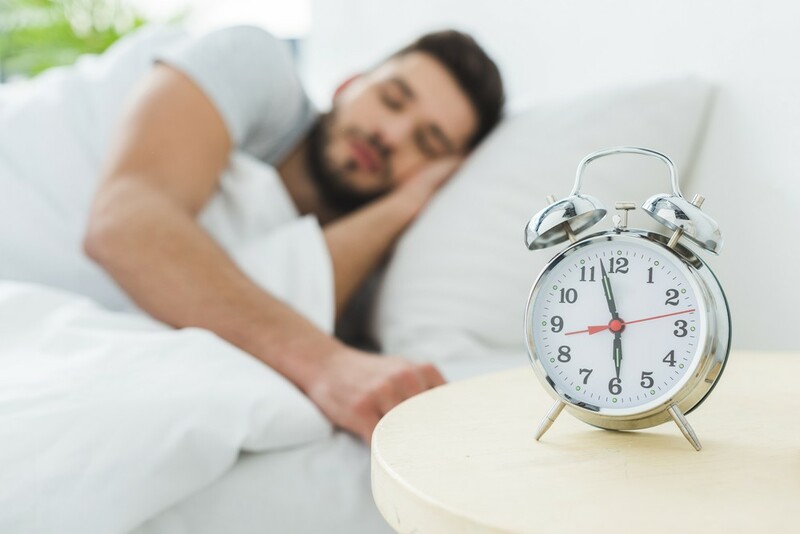 If you tend to jump out of bed in just enough time to get ready and leave, start by setting your alarm 15 minutes early and work your way up until you are waking up an hour or an hour and a half before it’s time to leave for the day. The time change can throw off your sleep, but if plan ahead, your body won’t notice the changes. For example, if you plan to get up 15 minutes earlier, plan to go to sleep 15 minutes earlier the night before. Visit My 12 Step Store for ideas on motivational items to help start your day. This entry was posted in Uncategorized and tagged addiction, fall, habits, seasons, sober, sober living. Bookmark the permalink.